Most companies do not yet recognize what it means to adapt to future climate change, and do not yet see it as a business priority. Adapting to Climate Change tackles two key questions facing decision makers: 1) Is adaptation worth it to me? and 2) If it is worth it, can I really tackle it? If a company has reason to worry about the potential impacts of weather on its operations and supply chains, it probably has cause to worry about climate change. 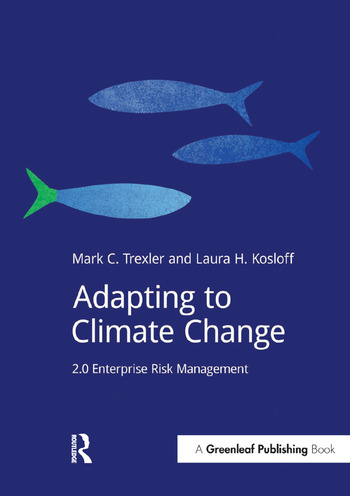 However, "adapting to the weather" is not the same as incorporating climate change adaptation into corporate planning. In the former a company is managing conditions they are already experiencing. The latter involves preparing for forecasted impacts of climate change. Focusing on today’s weather and not tomorrow’s climate leaves a lot of risk on the table, especially if the climate continues to change faster than many climate models have projected. The uncertainties associated with forecasting climate change on a timeframe and at a scale that is relevant to corporate decision making can appear daunting. It is not necessary, however, to have perfect information to advance corporate preparedness for and resilience to climate change. Companies can improve their ability to make robust decisions under conditions of uncertainty without perfect information. A Bayesian approach to reducing uncertainty over time can cost-effectively support companies in understanding and managing many potential climate risks and can avoid the need to depend on future predictions. Instead, initial effort can focus on where a company will have confidence in its analysis and the ability to influence its level of risk, namely in assessing its exposure and vulnerability to climate hazards. As the hazards themselves become more clear, risk management strategies can be quickly adapted.